“Who the hell wants to copy a document on plain paper???!! !” Rejection letter sent to Chester Carlson, inventor of the XEROX machine in 1940. “This 'telephone' has too many shortcomings to be seriously considered as a means of communication. The device is inherently of no value to us.” Western Union internal memo from 1876. History is replete with people’s failures to anticipate the impact of technological change. Are we making the same mistake with financial technology (fintech)? Could it, in fact, be the next revolutionary technology to boost economic growth? Financial innovations are unlike other inventions in that they can directly impact the efficiency of the financial sector, which is how savings and investment are intermediated in an economy - and which then affect growth. Yet fintech is part of the digital economy that has produced innovations that have transformed the way we live, even as productivity growth has been slowing across advanced economies for decades. It is captured in the Solow paradox: The computer age is seen everywhere except in the productivity data. According to Bank of England Governor Mark Carney, FinTech’s potential is to unbundle banking into its core functions - such as settling payments and allocating capital. For central bankers and regulators who are monitoring the sector, the growth of fintech is akin to any other disruptive technology - that is, will it lead to financial instability? Most fintech start-ups are not regulated as much as traditional financial institutions. So far, it’s the more open financial markets that have seen fintech develop rapidly. One example is the e-payment system M-Pesa, which operates in Kenya, Tanzania and elsewhere, and is one of the biggest fintech success stories since its emergence just a decade ago. By effectively transforming mobile phones into payment accounts, M-Pesa has increased financial access for previously unbanked people. The permissive stance of the Kenyan central bank allowed the sector to develop rapidly in one of East Africa’s most developed economies. This is consistent with a Bank for International Settlements study that found fintech is most prominent in countries with less stringent banking regulations, higher incomes and less-competitive banking systems. Today, there are 110,000 M-Pesa agents, which is 40 times the number of ATMs in Kenya, according to the World Bank. M-Pesa is an example of how fintech has disrupted the financial sector and increased efficiency across the economy. In Kenya, it has been estimated to contribute an impressive 14% to TFP, or total factor productivity growth - and that is what’s needed to raise overall economic growth. That’s not the only boost. By bringing the savings of the unbanked into the financial system, fintech has increased the amount of funds available for investment; M-Pesa has contributed to a growth spurt in business start-ups in Kenya. Greater capital accumulation is an important factor for a country’s standard of living. If fintech can improve financial inclusion elsewhere as it has in Kenya, then it would more efficiently channel savings into investment in industry, infrastructure, human capital – the very sorts of capital that would raise growth in emerging economies in which an estimated 1.7 billion people worldwide who do not have bank accounts. Another example is China, where e-payment providers Ant Financial and WeChat Pay dominate the market in a country that accounts for half of the world’s online payments. Their rapid growth was also due to a permissive regulator looking to increase competition in the state-controlled financial system. China has only recently introduced a market-clearing interest rate, so capital allocation is far from efficient. By bypassing the state-owned banks and credit card companies, fintech has increased efficiency in China’s financial system. The other big fintech markets like the US and UK could also benefit from improved efficiency. 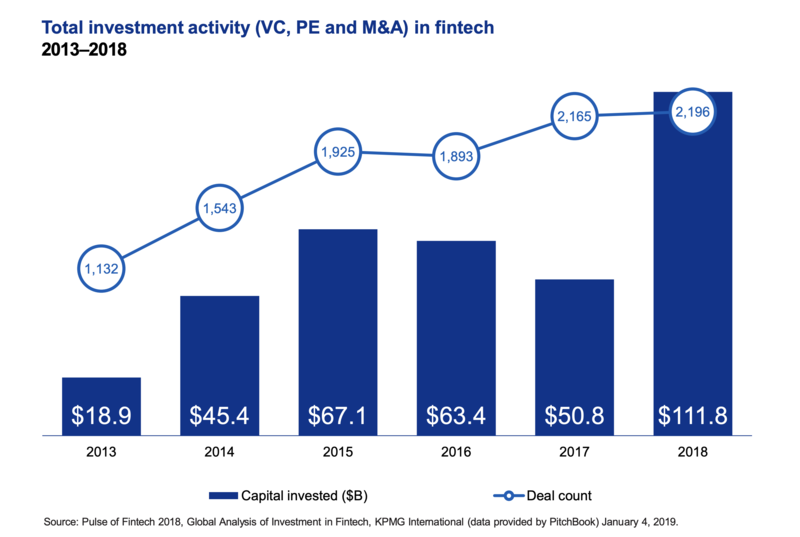 Fintech has the potential to increase economic growth in emerging as well as major economies through improving capital allocation and increasing efficiency. Because financial intermediation plays an essential role in economies, technological progress in this area may well generate the sort of returns that have proved more elusive with other digital inventions. Of course, it may not. But, there’s a chance that just as numerous inventions have been underestimated throughout history, fintech could be the digital-era innovation that many have been hoping for that could raise economic growth and avoid a slow growth future.